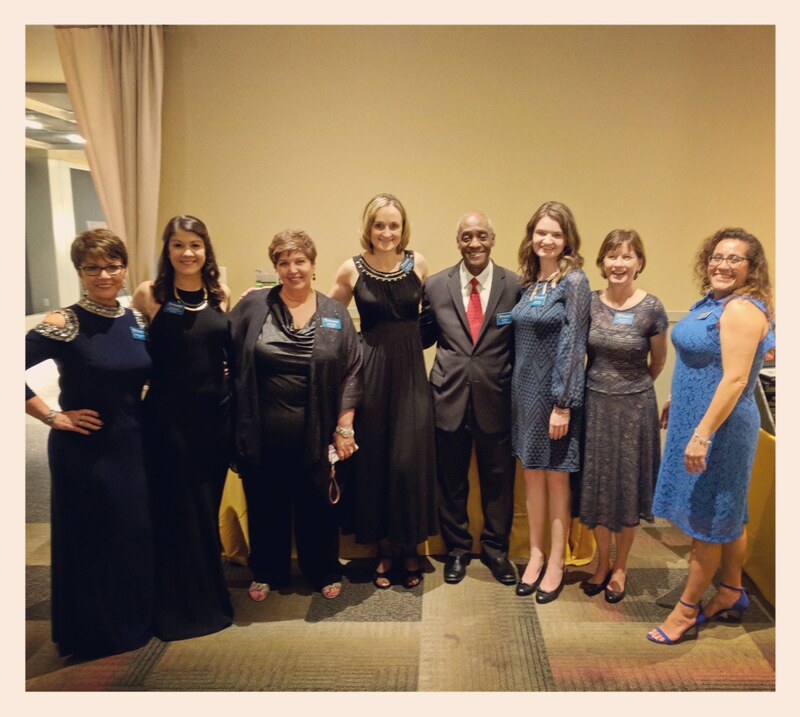 The Challenge Program, Inc. That Crystal Owl Magic - The Challenge Program, Inc.
Last year was my first attempt at being a part of the Student of the Year Competition and Crystal Owl Gala. (It was actually my first attempt at almost everything last year. Being 23 is hard). I was amazed by the fact that these students were all entering this competition because they felt TCP made some kind of difference in their lives. After the top 3 entries were chosen, another new aspect added last year was the video component where TCP travels to the schools of the 3 finalists and gets to film a “video diary” for each. We see a day in the life of these students and this helps tell their story to the attendees at the Crystal Owl Gala. When the time came to prep for our Gala, it was a lot of napkin choices, video preparation, name tag creation, and plenty of other planning. Getting out to the schools amid all of the internal preparation was refreshing. If all of our staff could be a part of the experience with the individual students in their environments, Crystal Owl time might make everyone feel more at ease rather than unusually sweaty. As this time of year approaches again, I get excited and I try my best to make sure that everyone looks forward to our event as much as I do. I will admit that not having done this more than once may make me more eager, however, for a second time around, I am even more excited than I was last year. Being a part of the behind the scenes processes and then seeing it all come to life is a truly inspiring thing. I witness first-hand the amount of time and energy our staff puts into this event. Everyone wants to make sure the students, guests, and sponsors have a great experience. People say that if you can help one person throughout your life then you are lucky. Last year TCP received over 300 entries telling us why the Program impacted them, changed them, or helped them. It is amazing to wake up every day and go to work knowing that is what you do every single day. Every person here comes to work to help reach more and more students and get their stories told. For me, working with students and helping them tell their stories, whether it is through a blog post or a video, is really special. Getting to be a part of something bigger than yourself is something people dream of achieving in their lifetime. I was 23 and realized at that moment at Crystal Owl when the students were telling their stories on the big screen and the crowd was wiping their tears that I was proud of what we all accomplished together and that we made people feel something. It is possible that my fresh outlook is a large part of my affinity for Crystal Owl but I honestly don’t ever see that going away. Click here to see our online auction or support our event!